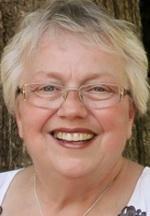 Lesley D. Bear of Fort Madison passed away Monday, Feb. 25, 2013, at her home. She was born on July 5, 1949, in Waterloo, to Russell Sr. and Irene Saucer Knoke. She worked for the state of Iowa for 24 years. She was a member of Our Savior Lutheran Church and was a Fort Madison Sister Cities officer, loved fishing and was an avid Green Bay Packer fan. Lesley is survived by one daughter, Tiffany and husband Michael of Indianapolis; six sisters, Twyla (Kenny) Smith of Longmont, Colo., Marsha (Donnie) Nelson of Winthrop, Karen Rieks of Ramsey, Minn., Joy (Bill) Bovy of Unionville, Mo., Suzan (Reginald) Schmidt of Waterloo and Melody Merriss of Iowa City; and one brother, Russell Knoke Jr. of Winthrop. She was preceded in death by her parents; and one brother, John Kevin Knoke. Friends may call after 3:30 p.m. Wednesday, Feb. 27, with the family to receive friends from 5 to 7 p.m. Wednesday at King-Lynk Funeral Home & Crematory, Fort Madison. The funeral service will be at 1:30 p.m. Thursday, Feb. 28, at King-Lynk Funeral Home & Crematory with the Rev. Bill Willis officiating. A private burial will be at Crown Hill Cemetery, Indianapolis. A memorial fund has been established for the Fort Madison Community Schools to help needy children. Online condolences to Lesley’s family may be left at the King-Lynk Funeral Home.